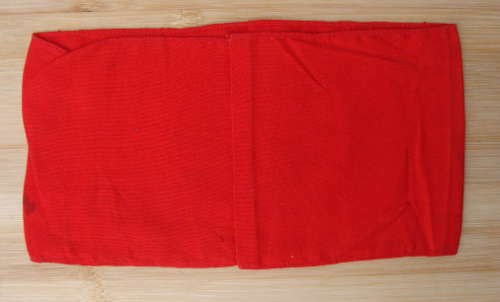 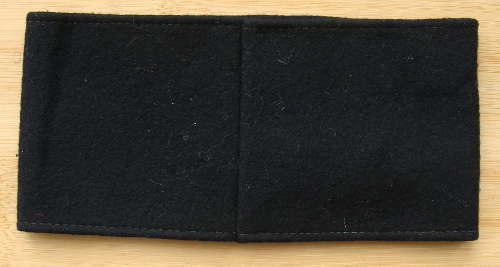 Simply the most pristine unused HJ armband we've seen in original condition, no damage or moth holes - any inspection welcome. 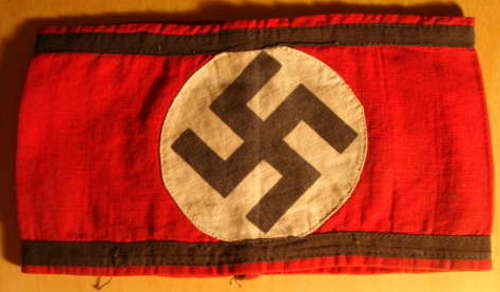 Outstanding original condition, nicely aged with evidence of being used but no damage or moth holes - any inspection welcome. 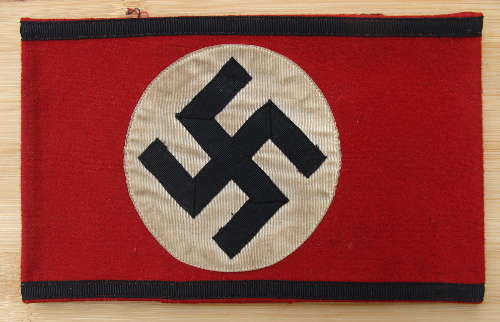 nice original used condition - any inspection welcome. 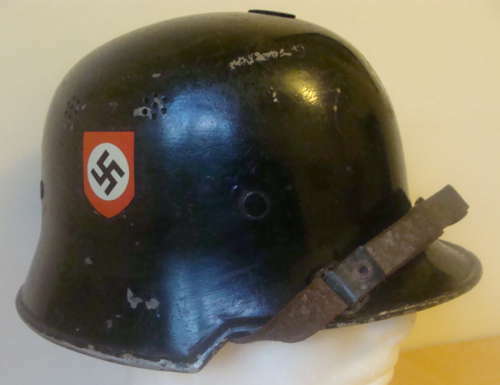 nice used condition - any inspection welcome. 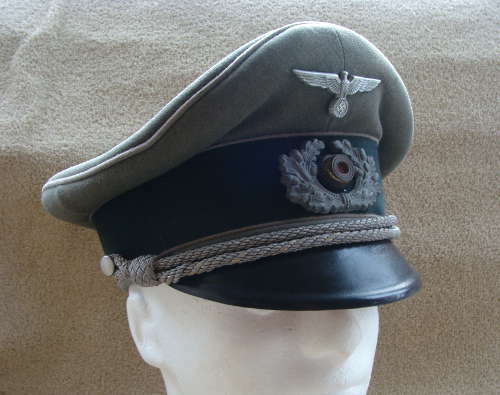 Unused/unissued original condition - any inspection welcome. 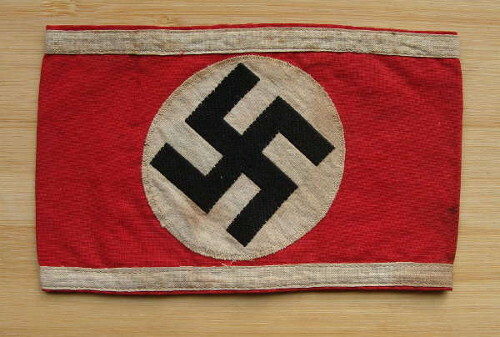 Good original used condition - any inspection welcome. 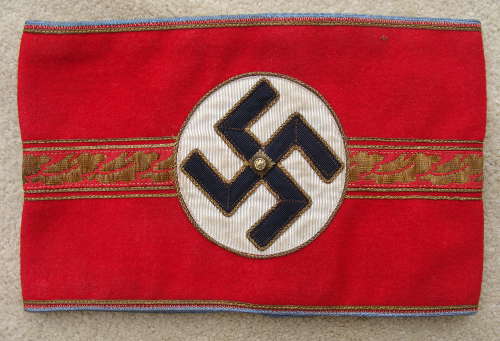 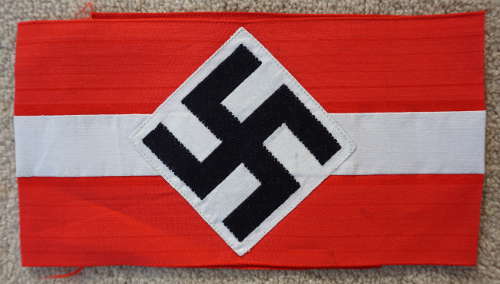 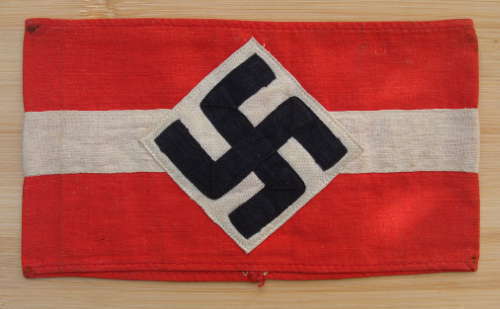 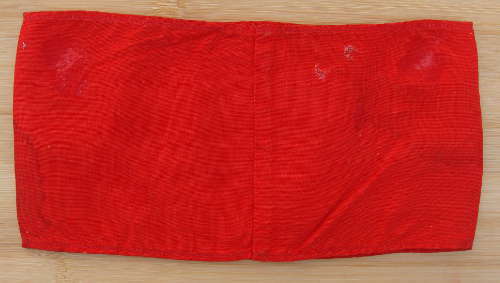 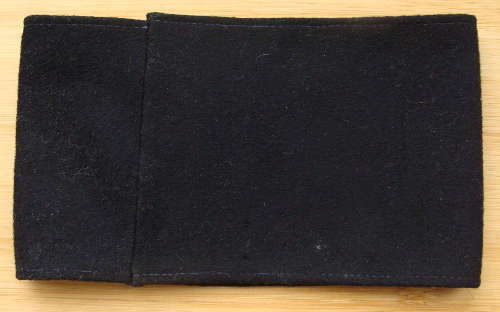 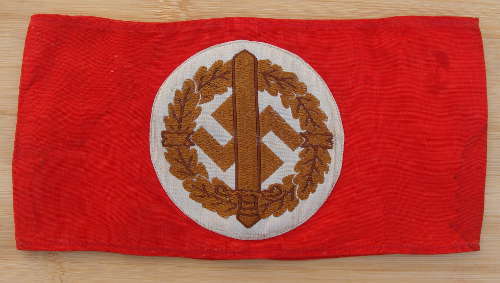 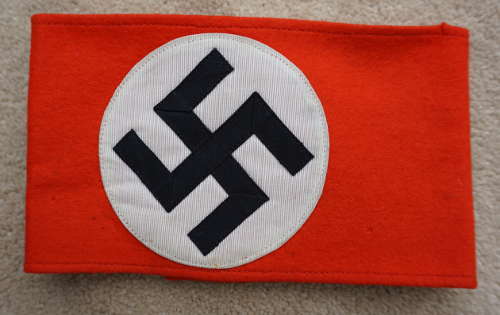 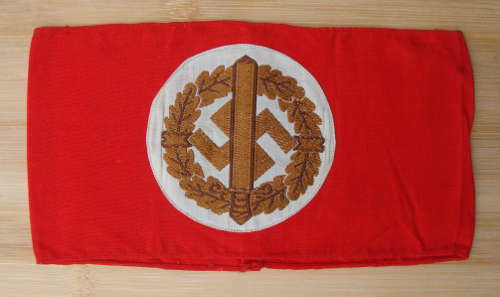 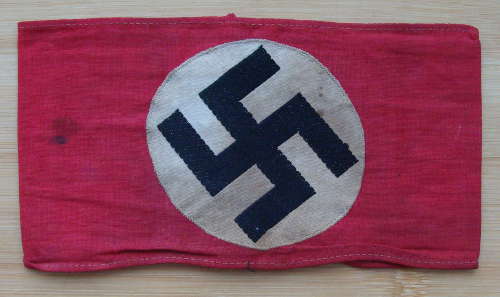 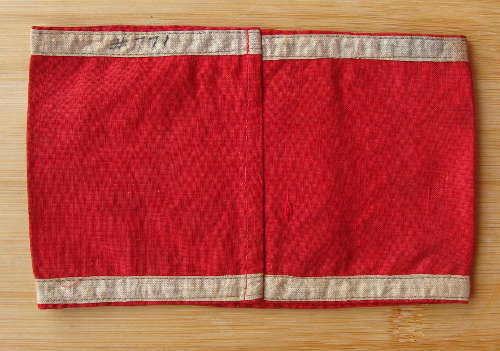 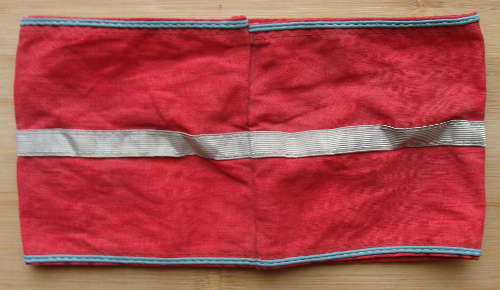 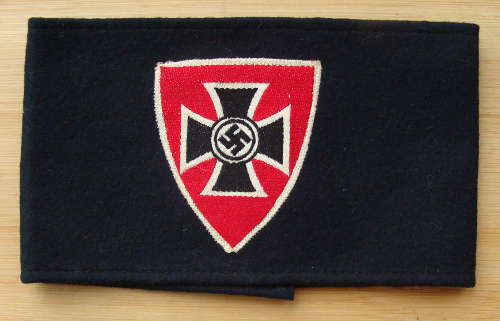 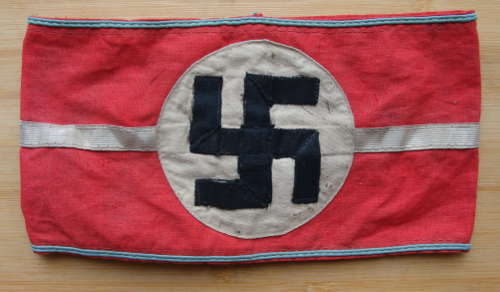 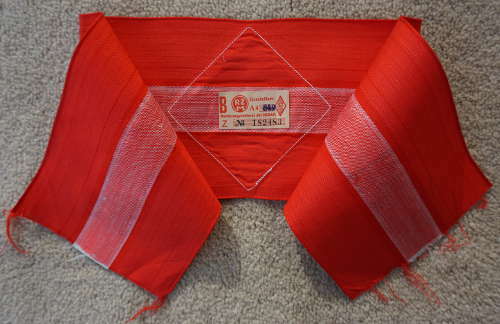 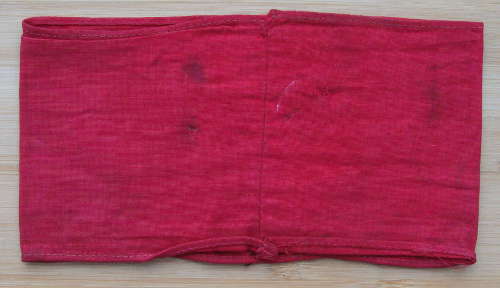 Deutsche Wehrmacht Armband (German Unified Armed Forces) - an original WWII example of woven on to cotton construction armband worn during WW2 by civilians in the services of the Armed Forces, who's duties included food distribution, deliveries of fuel and supplies etc. 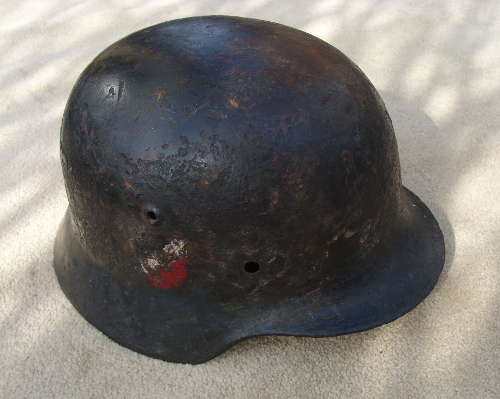 In excellent undamaged condition - any inspection welcome. 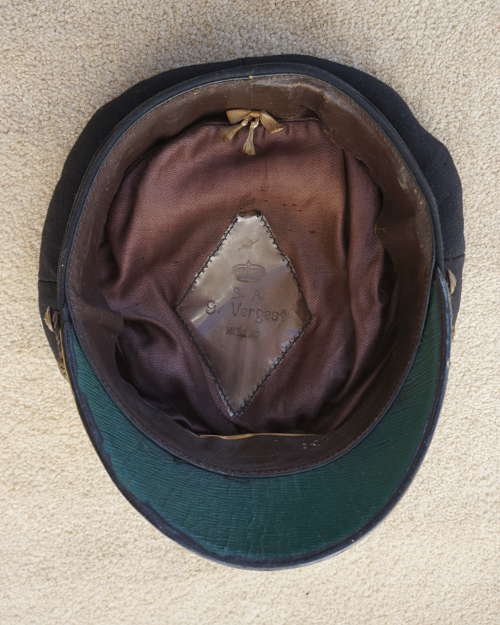 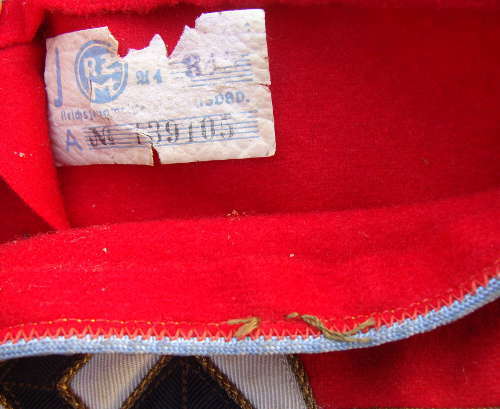 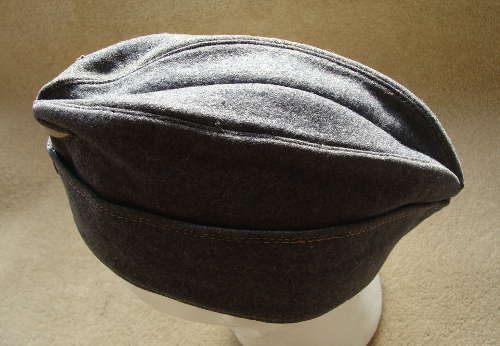 professionally restored, all fittings are original to the cap, the original stitching on and around the peak had rotted due to sweat from the wearer, and has been painstakingly re-threaded using the correct period thread. 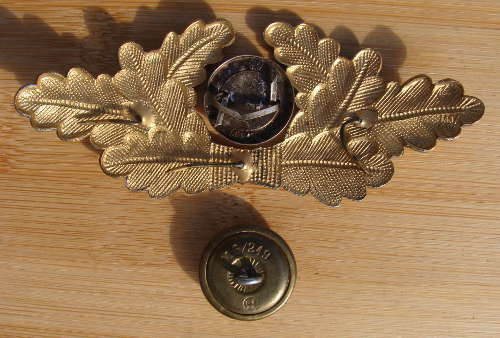 Superb original, complete, used and nicely aged condition, has not been tampered with and all fittings are original to the cap. 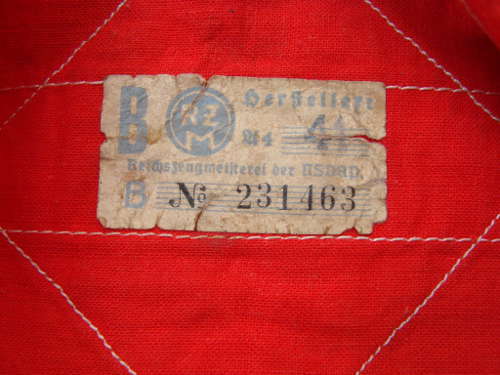 Shaped celluloid label faintly named "Nordmark Mutz, Friedrich Methmann, Flensburg"
the practice of using individual ship's names on the Tally was abandoned in 1940 for security reasons, and the use of the 'Kriegsmarine' Tally as in this example began. 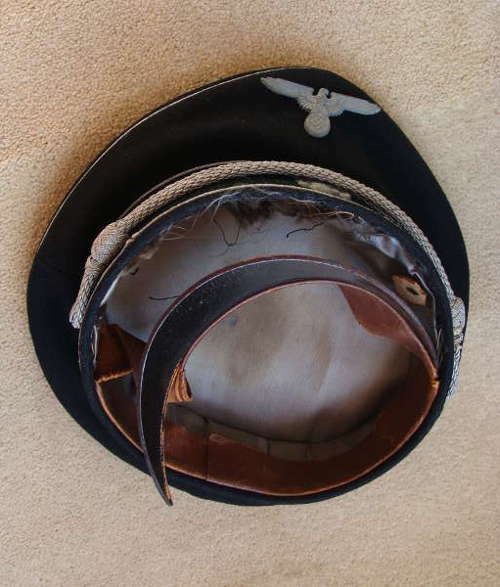 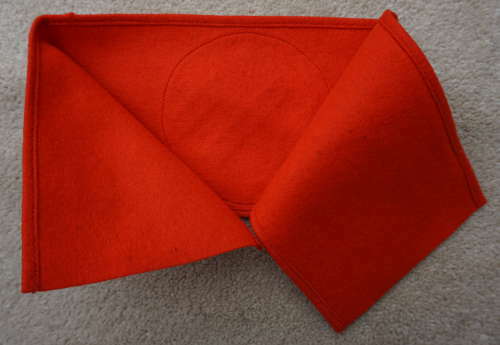 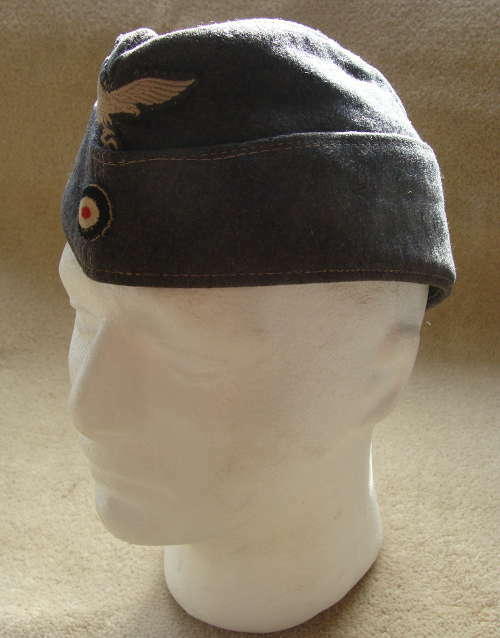 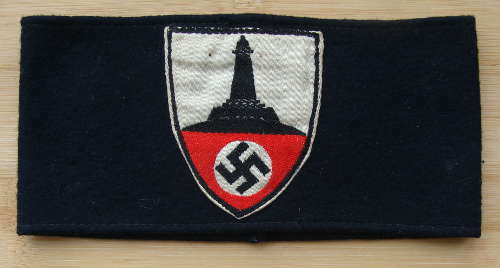 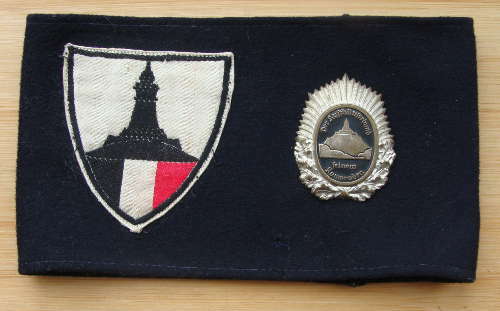 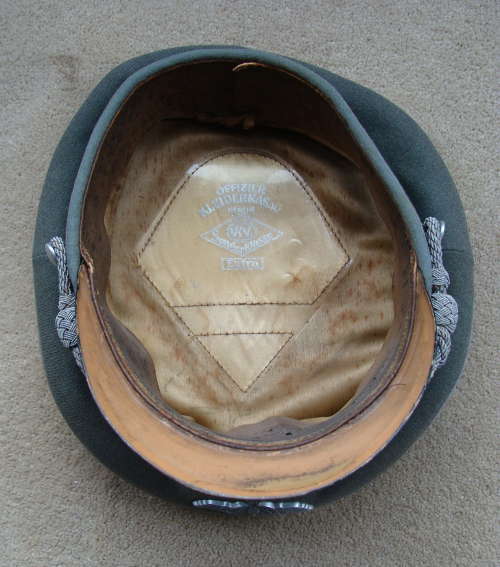 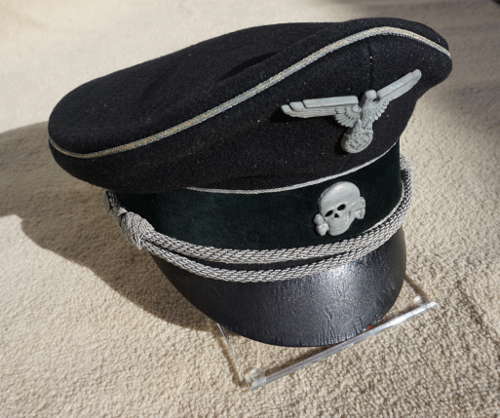 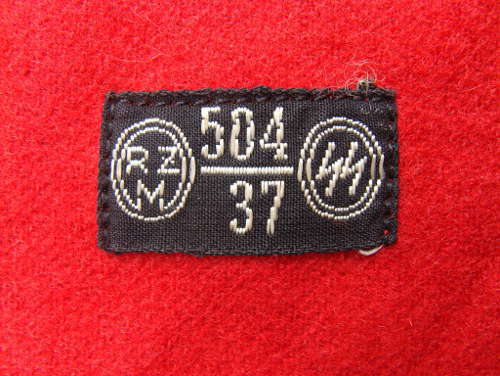 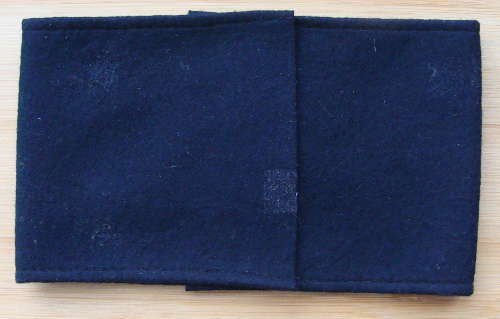 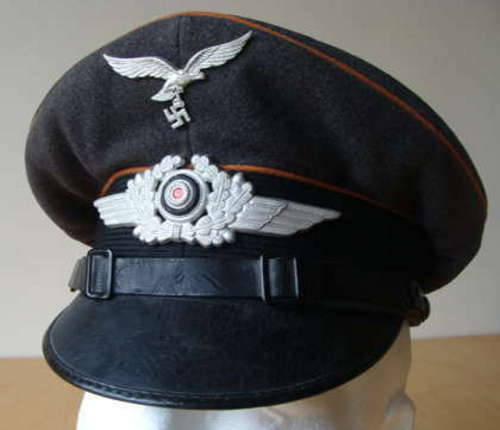 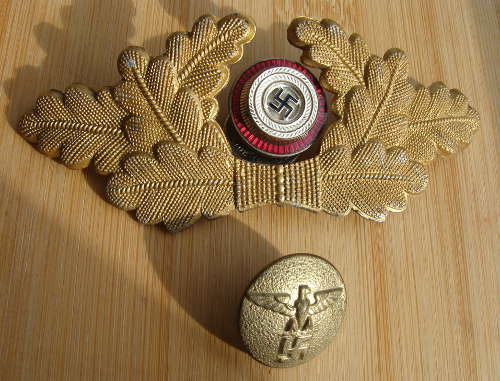 This type of cap was used by Naval Ratings including U-Boat crews. 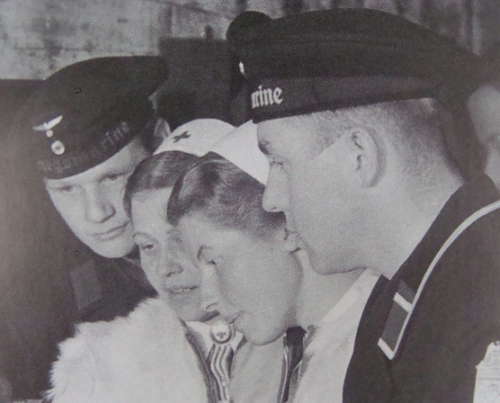 Photograph shows two sailors wearing the caps. 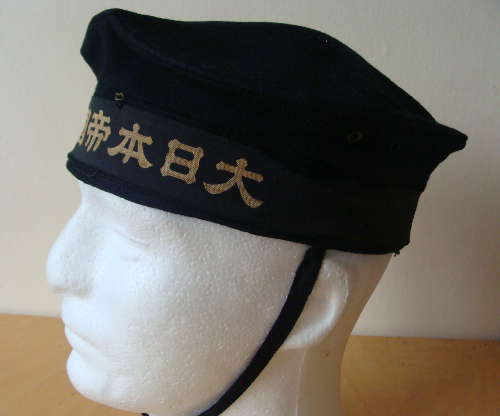 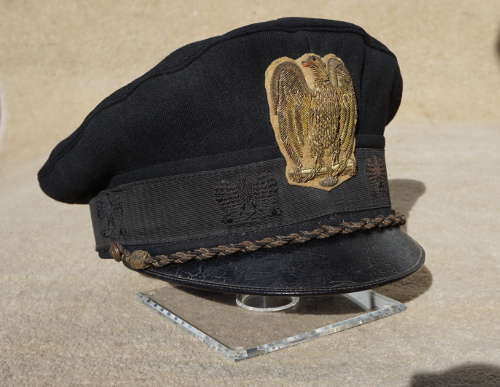 Cap Tally, grained with tails decorated with gold anchors to rear, inscription translates to "Greater Imperial Japanese Navy"
Original, aged, and undamaged condition - a rare survivor from WW2 - tested for authenticity, any inspection welcomed. 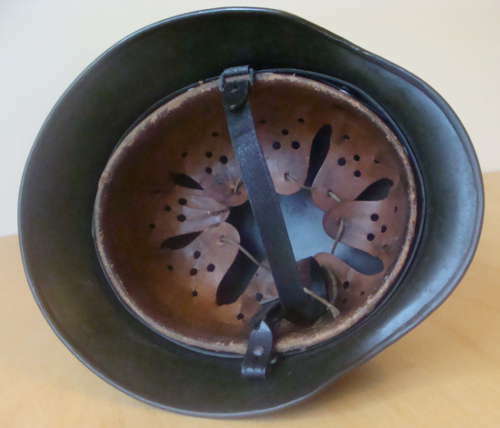 - original leather liner, chin strap and aluminium band still in place. 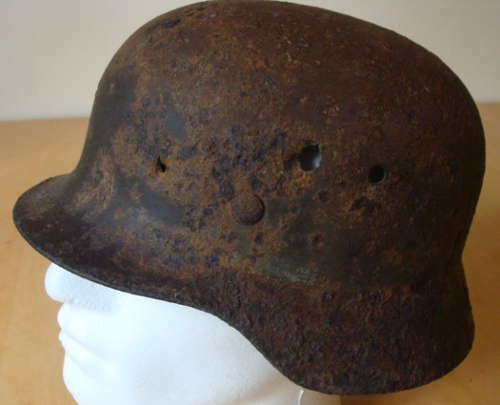 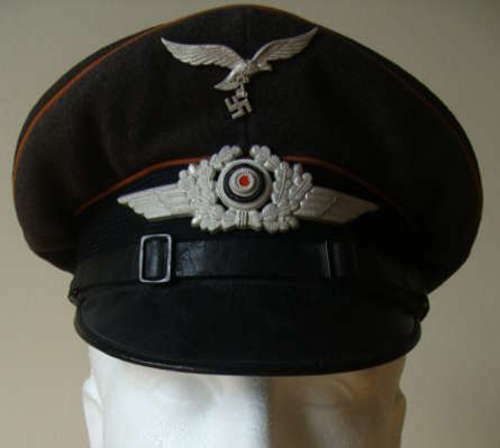 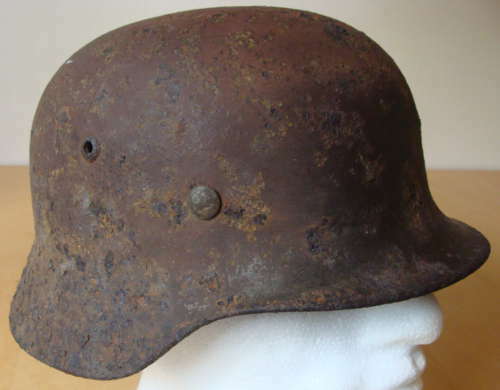 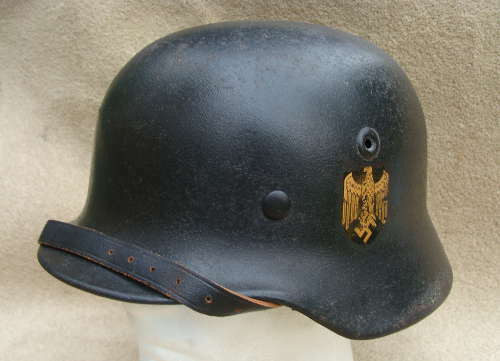 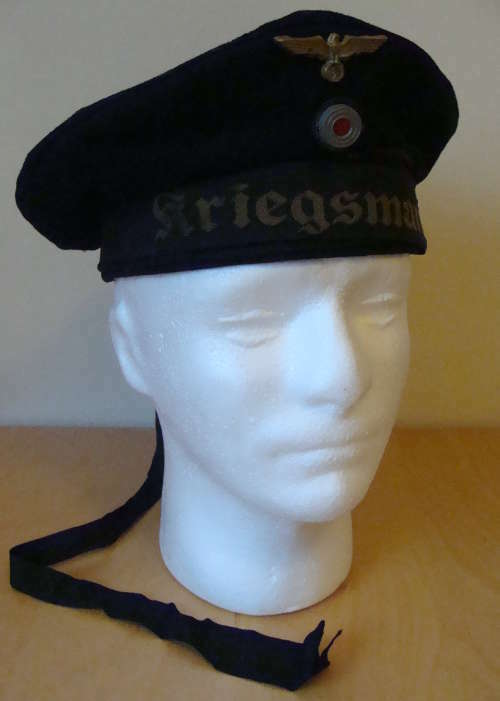 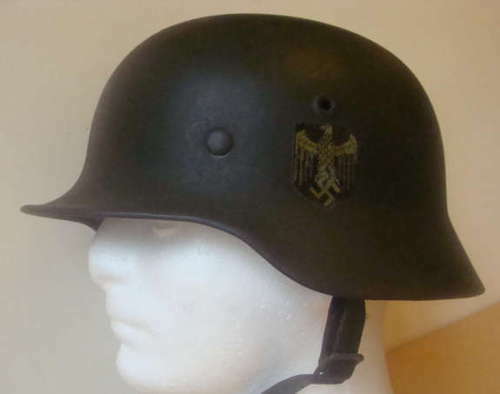 Definately one of the better original Kriegsmarine helmets in existance. 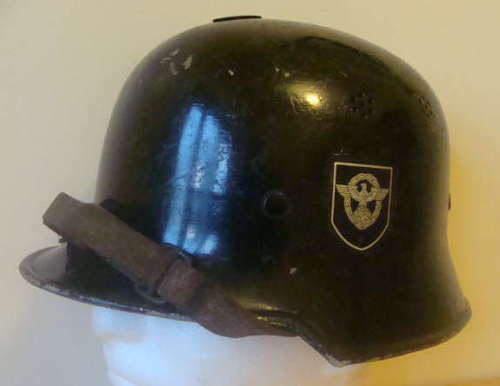 Original Decal - retains the original dark olive green paint finish - Good condition. 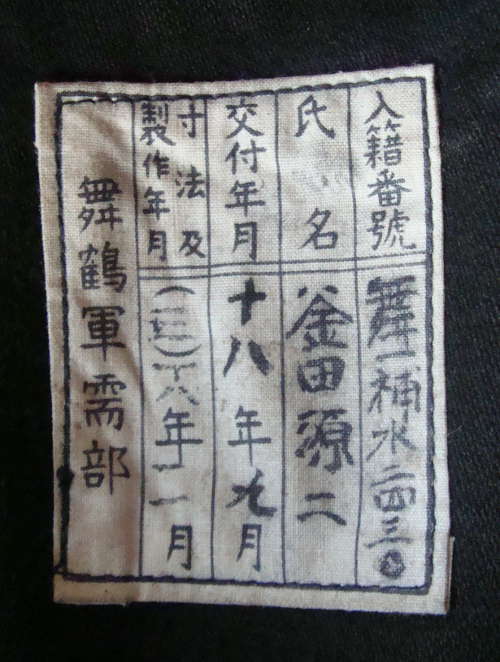 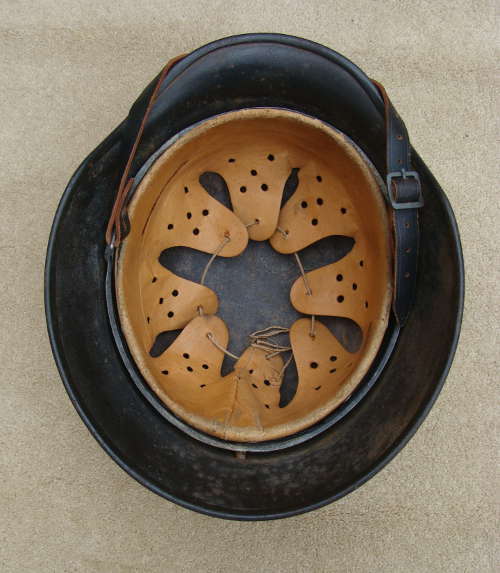 - also still has its original leather tabs for attaching the leather neck protector - Repacement Decals. 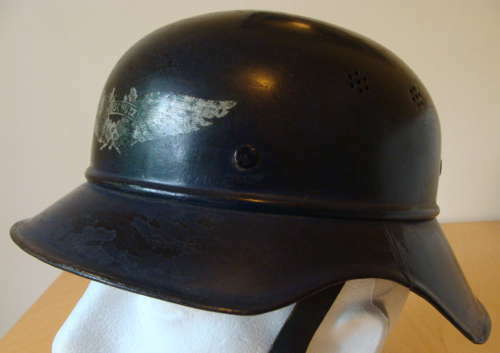 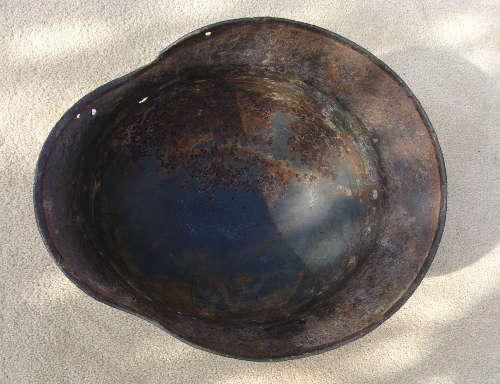 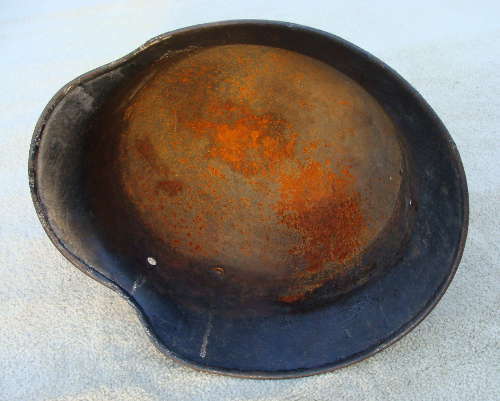 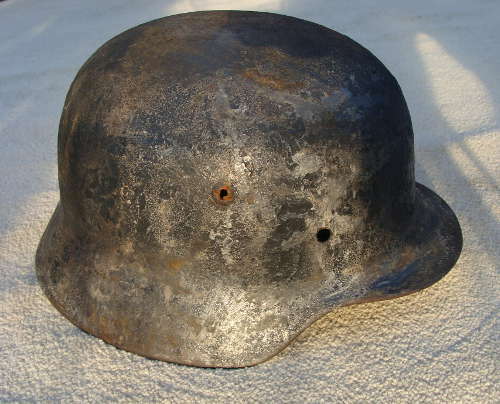 The shell itself is original, solid, undented and undamaged with light surface rust to the interior - We dont know how the helmet ended up in this condition but we suspect someone has tried to remove the black overpaint to expose the original olive green finish of which some is still in evidence.